To start investing is a big move, not to mention that it’s a big challenge. But that fact doesn’t necessarily need to stop us in taking better charge of our finances with the help of the stock market. There will surely be times when you’ll see big losses in your portfolio. It’s normal, but what makes it more painful and difficult for many people is how they react to that. Most participants, when they land on that stage, become controlled by their emotions designed to sabotage them. They rush to click that sell button right away, and the next thing they know, they are big time three-dimensional losers. A big 85% of the entire market participants practice it that way, the same percentage that loses money in the market. Friend, that doesn’t need to be your story. You can have a more rewarding plot. You can be part of the 15% who make money in the market with so much less investment of time and energy and neurons and attention. I lay down some principles below that can guide you in your investment career. Take note and see that you’re always reminded with them. 1. Keep invested in you. Save as much as you can as soon as you can. We’re investors, remember? Traders may have big, but limited, capital. They would need that big money for their risky plays. But it’s not (yet) our case. We, as long-term investors, may have small but consistent capital. Make it a habit to add to your fund to sustain its growth, much like watering plants and giving them essential nutrients they need. Because we seldom time the market, you need to add more plants in your garden to have more fruits come harvest time. Keep investing in your greatest asset, which is yourself. If you don’t, no one else will do. 2. Be sure that the money you’re putting into the market is your “free cash”. Free cash means money you set aside for your long-term investment. You won’t invest in your favorite company today and withdraw it next week to pay for your apartment. That’s absurd for beginners. You leave it for some time, for long-term. What is long-term? A year or five or ten or twenty years! Set aside a part of your salary/income and dedicate it to your investment fund. Make this consistently and your free cash will some time give you the freedom you’ve been yearning for. Exciting right?! Say free! You need to understand more about the company you’re looking to invest in. You need to be truly at peace with them, before putting your first installment. Your investments are supposed to give you a restful sleep at night. Do it the right way and you’ll have sweet dreams as bonus. I’ll say again what you might have been hearing many times – “Do not put all your eggs in one basket.” By doing this, we lessen the effect of potential unfortunate surprises. You see, diversification is a form of protection from unforeseen disasters.. Try to maintain a portfolio of at least three to five good stocks. 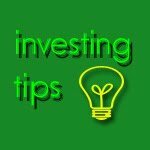 Do not also try to invest in too many companies, as you’ll equally lose focus and easily go astray. You want it balanced and going smooth with less hassle and complications. 5. Plan your trade and trade your plan. Finally, you want to be in control of your investments, so you’ll definitely need a plan to execute it. Check your brokers’ analysis (yes they give it for free! ), make your plan from that, and stick to it. Then see through time if it needs to be adjusted and realigned for your goals. Unless you’re a full-time trader, we leverage on the expertise of our brokers who have devoted practically all their life to give reliable researches to us clients. Be sure to use that blessing. Just don’t forget to make your assignments though. There you have it. Just keep disciplined and persistent and you’ll someday reap the sweet fruits of labor of your money for you. PS: The TrulyRichClub has just advised its members to sell their ALI shares thru its Stock Update Alert. This is after ALI has reached its Target Price of P21.65 (or at least close to it). If you’re a faithful member of it last year and consistently invested since then, you would have enjoyed around 35% nice profit! Keep investing in our other recommended giant companies, and they too will soon serve as our holy cow!